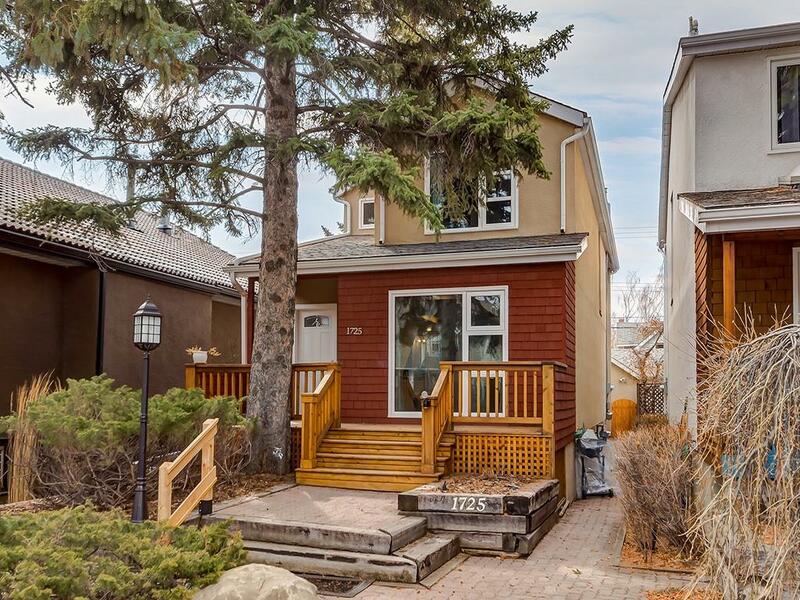 DESCRIPTION A great opportunity to buy on this very sought after avenue, detached home with over 1800 square feet of above grade space. This property has attractive curb appeal, set back on the lot with mature trees, a newer wood deck, stairs and handrails. This home has a retro style with modern appeal and loads of potential. With open rise staircase, cedar wall/roof accents and detailing. A sprawling main floor has a cozy front living room, functional central dining area, open family room with wood burning fireplace and a unique rear addition sunroom with soaring ceilings open to the second level. An inspiring, light and bright space to enjoy the south sun, adjoining the back deck, south yard + detached garage. With 2 bedrooms upstairs, 3.5 bathrooms and a fully developed basement with built-ins including a Murphy bed and cushioned bench. Plenty of storage, various mechanical upgrades and all in a great close to Kensington location!